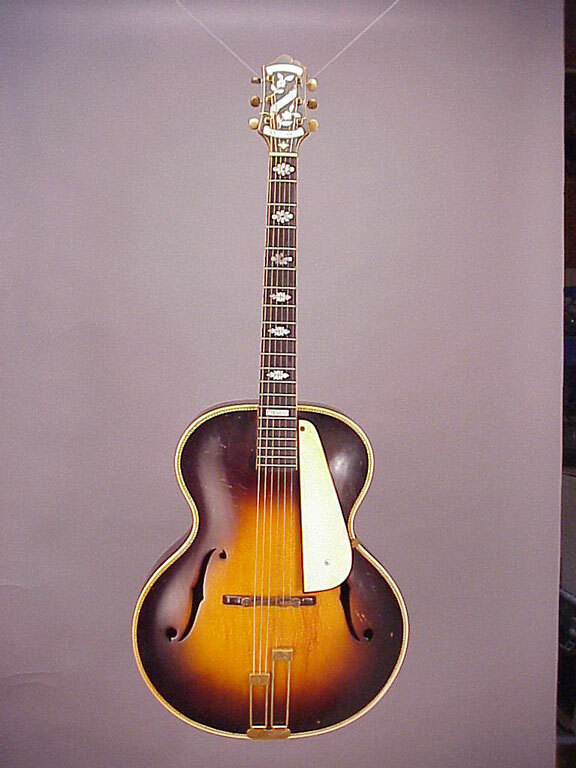 This one is a good example of Epiphone's first jazz guitars. 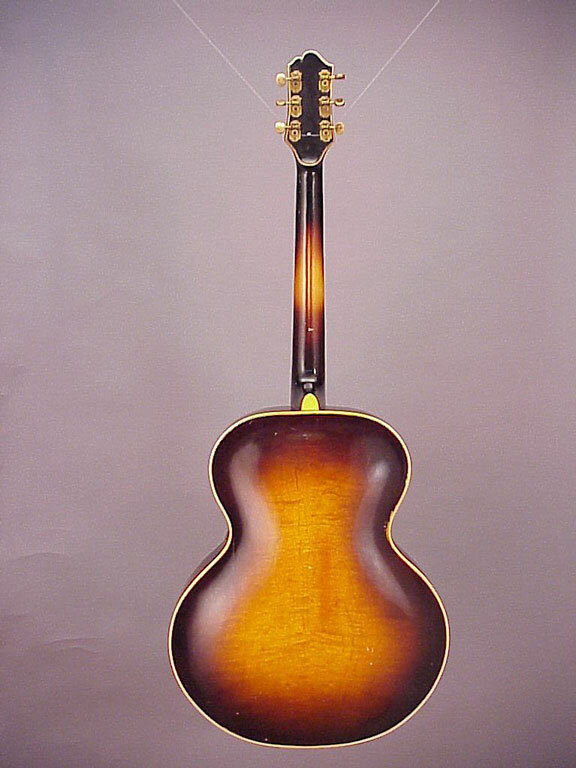 After many years as a maker of fine banjos, Epiphone extended their emulation and competition with Gibson to include guitars. I find this particular example interesting because it has some rather "primitive" details. 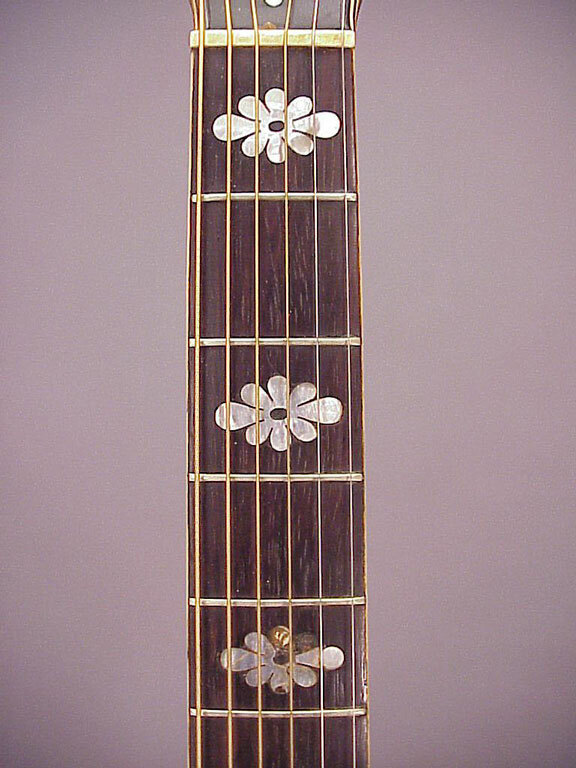 Notice the fingerboard inlay. Only two different shapes are used, and each is in only one size. 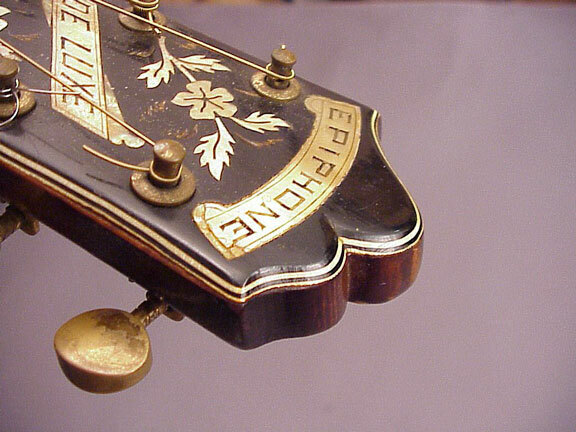 I figure that's they were "stock" shapes Epiphone ordered for their first fancy guitars. 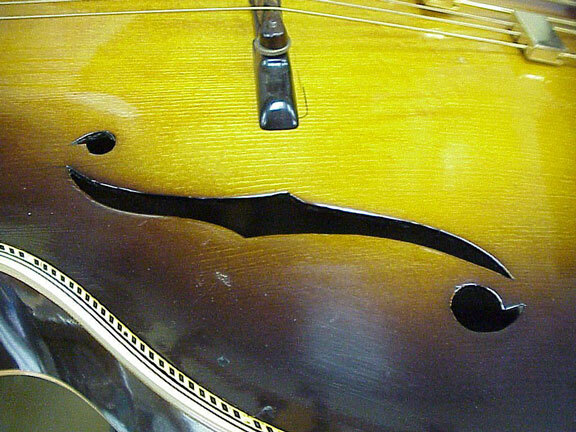 I've seen these shapes used on several early banjos. 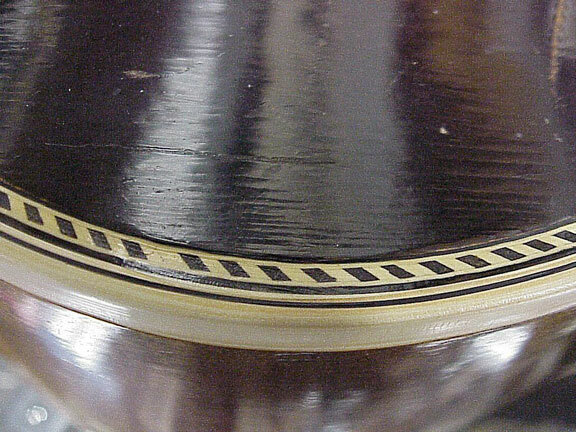 The edges of the peghead have no binding, but instead they are beveled to reveal the veneer laminations, which appear to border the peghead. The f-holes look rather like stencils, not cut through at the ends. 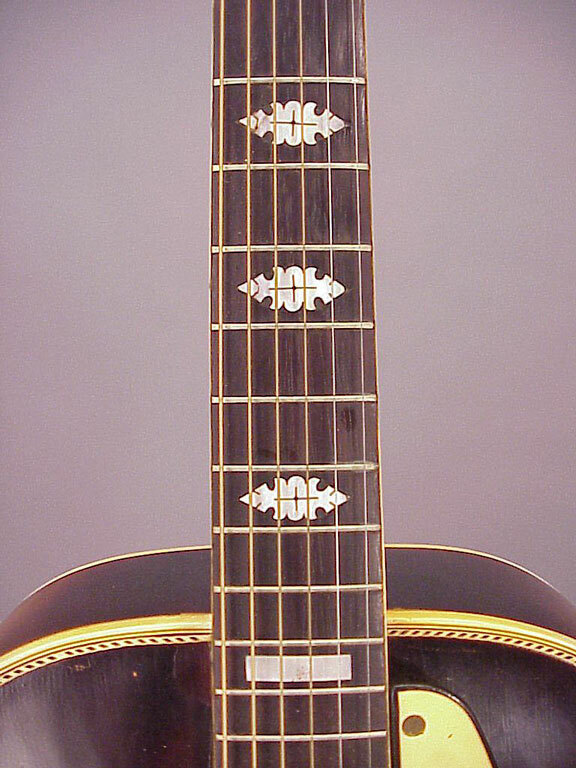 The top is bordered with wood marquetry purfling, characteristic of flat top guitars. 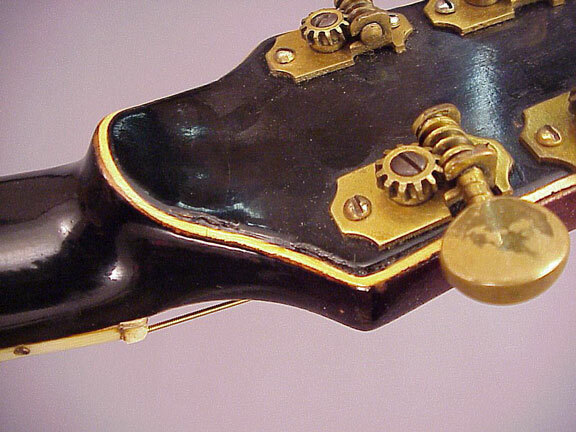 The original fingerrest is white, with black binding. 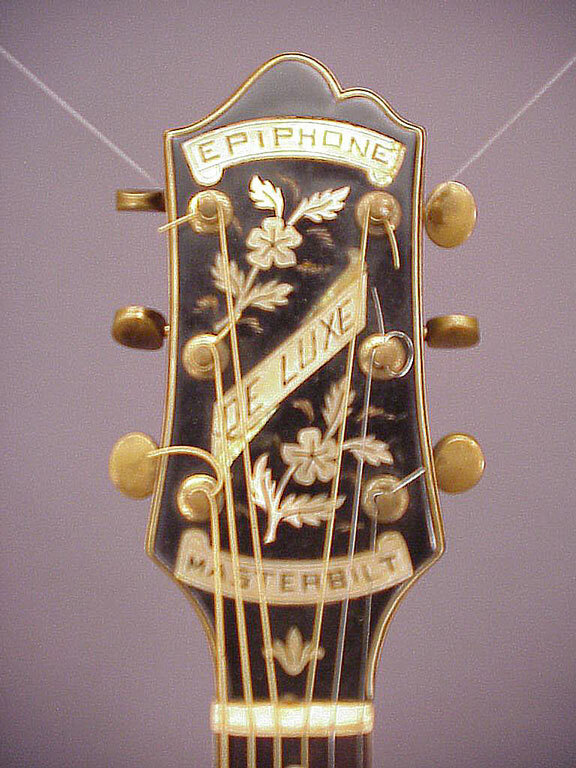 Later Epiphones have tortoise fingerrests with binding to match the guitar body.